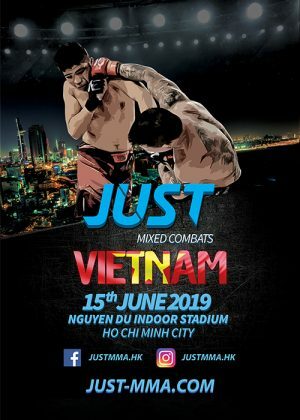 The young Chinese fighter Zhang Guang Tong shocked the Hong Kong crowd at JUST MMA – Hong Kong in December 2017 by knocking Hong Kong Muay Thai specialist Tony Chu out cold with a heavy straight right. 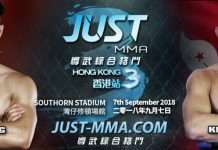 Now returning to JUST MMA to search for another win, going against him will be Hong Kong’s Bernard Fung. 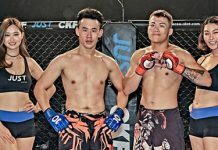 Bernard is one of the most dedicated fighters in Hong Kong, and has been competing in MMA since 2011. With 188cm height and a long reach combining with his striking and grappling skills, Bernard will be one of the biggest challenges that Zhang Guang Tong have ever faced.